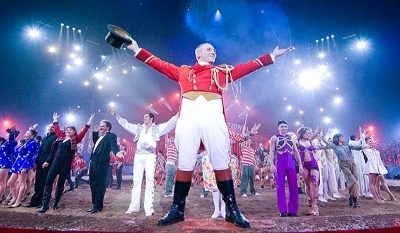 Nyala Wonder Travel takes you on an evening excursion to the French Riviera to enjoy the Circus of Monte Carlo in the Principality of Monaco. This is an event that can’t be missed: the Monte Carlo Circus is a wonderful show with performers, clowns and artists that come from all over the world. Arrival in the afternoon with accommodation in hotel. Dinner at the hotel’s restaurant and free evening to try your luck at the famous Casino of San Remo. Return to hotel and overnight stay. In the morning, transfer to Monaco and time for a walk in the old city with the possibility to see the “changing of the guards” and a visit to the Oceanographic Museum. In the early afternoon we move on to Fontvieille to see the performance of the International Circus Festival of Monte Carlo, which has become the most prestigious Circus Festival in the world. Before our return to Italy, we suggest that you dine at the Cafè de Paris, the most famous meeting place in the principality. Return to the hotel and overnight stay. After breakfast, take your time to discover the most enchanting corners of the City of Flowers : the gardens of Villa Ormond and Villa Nobel, the historic center of Pigna, the exclusive shopping in via Matteotti, and Porto Vecchio- the Old Harbour. Departure towards the place of origin and end of services. Accommodation in a 4* hotel in San Remo, in a double room. Round trip travel, transfers and anything not included in “Our offer includes”. Lunches and dinners must be selected on the basis of the daily menu or the tasting menu offered by the chef. Beverages and à la carte dishes must be paid for on the spot.